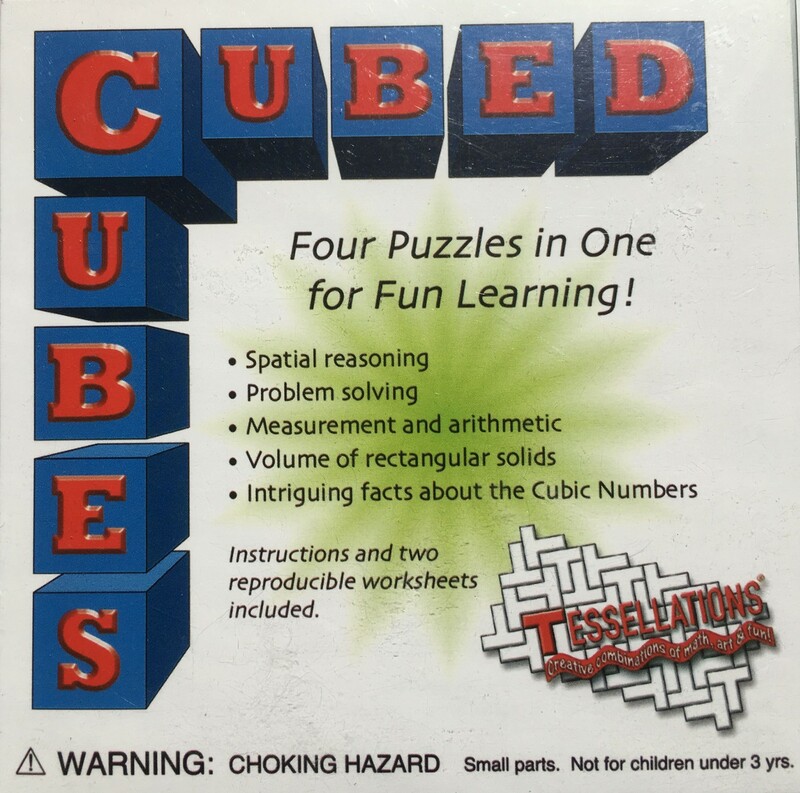 Cubed Cubes is a brain teaser puzzle that teaches students about rectangular solids and the cubic numbers. The foam pieces form red, blue, and green cubes, each of a different size. In addition, all nine pieces together form a larger cube. The puzzle is based on the mathematical curiosity that the cubes of 3, 4 and 5 sum to the cube of 6. The instructions include several additional three-dimensional puzzles to solve using the same pieces. Also included are classroom worksheets on the volume of rectangular solids and cubic numbers.